Maggie for Hire by Kate Danley – Free! When monsters appear in Los Angeles, Maggie MacKay is on the job. No one is better at hauling the creepy crawlies back where they belong. No one, that is, except her dad, who disappeared in the middle of an assignment. Now an elf named Killian has shown up with a gig. Seems Maggie’s uncle teamed up with the forces of darkness to turn Earth into a vampire convenience store, serving bottomless refills on humans. Click to get your copy. You will want to, because her new one is now out! First, if you are looking for “serious” UF, before you pick up either of these volumes, let me warn you. Ilona Andrews or Mark Henwick, this is not. What this series is, though, is lighthearted fun with an interesting twist that keeps you reading. Sometimes, that is all you really need from a book, and Kate Danley delivers in spades. One of the best things about this book is why Danley wrote it. Proceeds from the write-a-thon where this book was mostly written benefited the Young Writers Program, which funds free creative writing programs in hundred of schools and communities around the world. With the state of public education and the lack of support for the arts, I give Ms. Danley full kudos for her work. All in all, this series is funny and charming and is quite a pleasant way to wile away an afternoon. It doesn’t put a strain on the brain, the characters are to my mind quite likeable and you learn a bit more about Maggie’s mom in this one. I like her more even than I did before. I am really looking forward to the next one. I haven’t read The Woodcutter yet, that is on my list of must reads. Thanks, Ms. Danley, for a fun read and I look forward to more soon. Funny throughout, good world building, likeable characters, lots of “F”bombs if you are offended by that sort of thing. Kate still needs a good editor, a few too many errors are creeping through that could set off the “Grammar Nazis”. Nothing five stars, but still well worth the $3.99. The newest, Maggie on the Bounty (Maggie MacKay, Magical Tracker #3) was published July 15, 2013 and flew in right under my radar. I will be checking it out soon. New business partners, Maggie and Killian, are looking forward to their latest gig: finding out why all the ghosts are disappearing from the Empress Adelaide, a turn of the century ocean liner who once shuttled Hollywood’s finest across the Atlantic. But Maggie and Killian find themselves trapped in the past, caught in a time rift with only a ghost of a chance of escaping. This ain’t no pleasure cruise. Come on, get the series. If you have a great sense of humour, this is a great series! First, let’s get out of the way what Maggie isn’t – this isn’t a “romance” paranormal or not. It isn’t a “serious” urban fantasy work in the vein of Kate Daniels or Mercy Thompson. It is, instead, a pure and total snarky laugh riot. It is total enjoyment, a few hours of pure relaxation, where the weight of the world goes away and you can immerse yourself in another world. The world that you are immersing yourself in is really two worlds – the “normal” everyday world, and another, sitting side-by-side with this world, where all of our dreams and fears exist. If you have ever read Heinlein’s “The Number of the Beast” you are familiar with multiple world theory (well, if you are familiar with modern science, you are also familiar, lol) The Other Side, in Maggie’s case, is a world that fairy tale creatures and monsters of all types populate. As a Tracker, Maggie finds, and brings back to the Other Side, those who ‘slip’ across the barrier between worlds. What happens in this edition is exciting and entertaining, and full of a kind of snarky attitude that had me laughing out loud all through the book. See? Pure fun, with a bit of action, a lot of crazy uncle and grins galore. Read. Relax. Enjoy. And don’t go in with any expectations other than the fact that it is supposed to be fun and you will be very glad you did. Of the anthologies I am reading now, this one has been my favorite. Lots of “new-to-me” authors I intend to follow through on! Atomic – C. Gockel: Sigyn is prophesied to be the consort of a king. Instead she marries a fool. Centuries after his chaos destroys their marriage, the fallout begins. Didn’t read this one, right now I am not into the whole swords and knights thing, so I can’t say if it was good or not. Victoria Gardella: Vampire Slayer – Colleen Gleason Blurb: Balls, beaux, dance cards….and stakes? Lady Victoria Gardella must juggle her responsibility as a debutante in 19th century London Society while fulfilling her family legacy as a vampire hunter. I am not a historical person, so this one I didn’t read. Personal tastes. Highland Magic – Helen Harper: The Veil has kept the Highlands of Scotland free from demons for centuries, and ensured relative peace for the Sidhe Clans. However, a strange encounter on a dark, heather-strewn hillside might mean all that is about to change. Haven’t read this one yet, but Helen writes Bo Blackman, so it must be good, I just accidentally skipped over it in the anthology. I will pull it up later and give it a read. If it is as good as the last Harper story I read, I will enjoy it. Nightshade: An Anthology Available for Preorder! I got an email from Sara Reine reminding me that Nightshade is coming out September 21st! The anthology has some GREAT authors on offer, including two of my favorites, Kate Danley and Deanna Chase – and of course, Sara herself! The other authors I haven’t read, and how cool is that?? I get to check out new authors! The book is only .99 and is on preorder at Amazon. 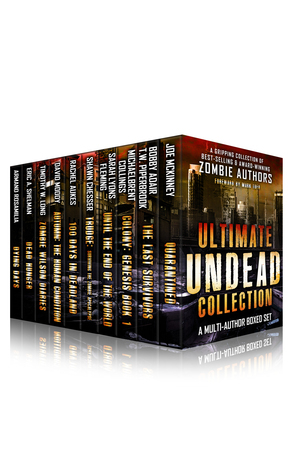 17 original stories by some of today’s bestselling urban fantasy authors. The Agency-Donna Augustine: Before Karma joins the agency, she’s just another assignment handed to Fate from the Universe. But she’s destined to become more than that. De Facto-Annie Bellet: Verity Li’s just a bureaucratic cog, going through the motions until she interrupts a kidnapping next door, and now all the problems are hers. Venom-Sarra Cannon: On the run from a coven of witches determined to capture and enslave him, Rend must overcome the limitations of the human world and embrace his true demon power. But will he survive? Honeysuckle Memory-Selene Charles: Scarlett Smith’s on a mission to track down the man who sentenced her to an eternity of purgatory, but first she needs to pass the mental health assessment board of the paranormal investigative department. Spirits of Bourbon Street-Deanna Chase: It’s Halloween and time to party, but when a spirit traps everyone in the past, white witch Jade Calhoun’s forced to forgo the cocktails in order to save those she loves. The Ghost & Mrs. MacKay-Kate Danley: It’s Halloween and Maggie’s mother has invited all the ghosts of the neighborhood over for a party. Unfortunately, one of the ghosts is wanted by the Other Side’s finest. It’s up to Maggie and Killian to find out what caused this soul’s unrest and return him to his happy haunting ground. Full Moon Mischief-Debra Dunbar: Getting summoned on Halloween isn’t any demon’s idea of fun especially when yanked from a rocking party into a coat closet. But rules are rules and Imp Sam must find a way to get rid of a gold-digger hussy then hope the pint-sized mage sends her back before the party’s over. Dog Days of Summer-Hailey Edwards: When a fae boy goes missing, Thierry is called to lead the hunt for the rogue. But the closer she gets to locating the boy, the further she gets from the truth. Victoria Gardella: Vampire Slayer-Colleen Gleason: Balls, beaux, dance cards….and stakes? Lady Victoria Gardella must juggle her responsibility as a debutante in 19th century London Society while fulfilling her family legacy as a vampire hunter. Atomic-C. Gockel: Sigyn is prophesied to be the consort of a king. Instead she marries a fool. Centuries after his chaos destroys their marriage, the fallout begins . Highland Magic-Helen Harper: The Veil has kept the Highlands of Scotland free from demons for centuries, and ensured relative peace for the Sidhe Clans. However, a strange encounter on a dark, heather-strewn hillside might mean all that is about to change. Contents May Have Shifted-Shawntelle Madison: Return to the Coveted universe in this tale featuring werewolf Natalya Stravinsky. Two werewolf shopkeepers in a mystical flea market encounter deadly merchandise that has no intention of being sold. Illusions-Christine Pope: Warlock Damon Wilcox is plotting to kidnap the most powerful witch in a rival clan. But Damon’s brother Connor has plans of his own. Dying Night-SM Reine: Hell’s trying to squeeze its way onto Earth via the Grand Canyon. Elise and James, a demon hunting team, haven’t spoken about that thing that happened in Copenhagen for six months. With all the pressure boiling under the surface, something’s sure to blow. Brea’s Tale: Arrival-Anthea Sharp: When a faerie girl is sent on a mission to the mortal world, she must learn to navigate the intricacies of life among humans – but will she survive undetected? Angels and Demons-Colleen Vanderlinden: A mysterious woman haunts the streets of Detroit, dishing up her own version of vigilante justice. If the stories about her are true, she could end up being the city’s biggest nightmare. Dragon’s Fury-Phaedra Weldon: A tragic part of Crwys Holliard’s past is revealed when his lover becomes a target in a serial killer’s vendetta against women who have crossed Crwys’s path. Unfortunately, this also makes Crwys the prime suspect in their deaths. Have you noticed how many book collections there are out there these days? 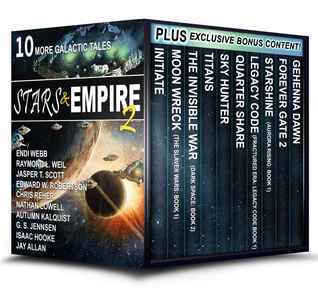 Multiple authors get together and donate a story to a Limited Edition Book Bundle based upon a theme. I have several of these, and have found new authors to love in nearly every one, as well as new stories by authors I already know. Since today is the start of a new week, I thought I would toss some of the bundles out there for you. 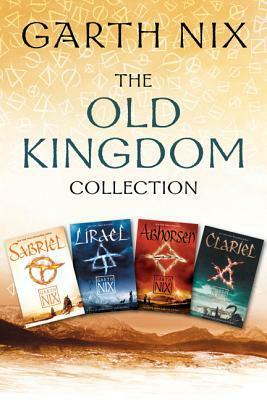 Some stories you will like in a collection, some you may not, but for the price, these are GREAT bargains! They range from .99 to FREEE! They are in no particular order, just as I come across them on my tablet. There are a lot of bundles out there – search Amazon for “Book Bundles for Kindle” or “Free Book Bundles for Kindle”. You can also search “Collections” and then search by genre. I am sure there are other ways to search, such as on Goodreads (“anthologies, collections” gained me 267 results while “series collections garnered 1904 results! Awesome… I am going to be hitting that list hard!). Do you love to read about elves, dwarves, and dragons? Do you find the lure of magic mystery too enticing to resist? Do you crave stories of monstrous orcs and trolls vanquished by brave heroes? Looking for fantasy with powerful female heroes, or villains? Beware of both! 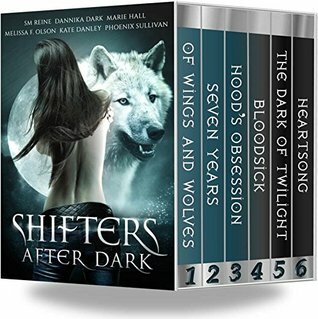 .99 Cents for 10 books!
! Pump up your adrenaline with 10 heart-pounding tales from today’s top apocalyptic authors. 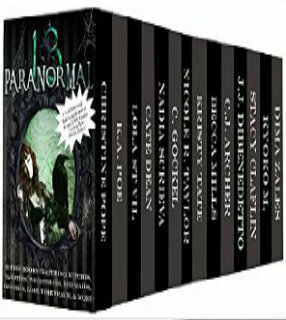 Actually, 14 full length paranormal and urban fantasy novels featuring witches, vampires, werewolves, mermaids, psychics, Loki, time travel and more! 1.3 MILLION words! 3,500 PAGES! Two collections, .99 Cents EACH! 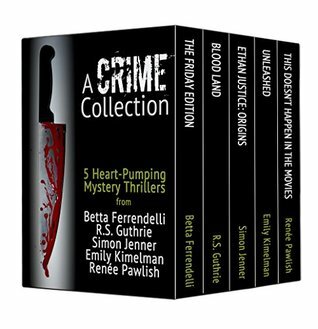 Five first-in-a-series mystery novels by up-and-coming authors Betta Ferrendelli, R.S. Guthrie, Simon Jenner, Emily Kimelman and Renée Pawlish. OK, so these are $34.99. I have read each of these, and they are Wonderful!!!! Garth Nix is a storytelling God…..